The people I’ve met, the landscapes I’ve seen and the experiences I’ve had in Bali have made me a different person. 5 years ago, when I came for the first time to Bali, I was not impressed: Heavy traffic in Kuta, Starbucks here, Burger King there. Not so great. But after staying at a friend’s villa on the Balinese countryside, I fell in love with the culture, the people and with the island. The more I discover the island and the more I learn to speak Indonesian, the more I feel that I have yet to understand. 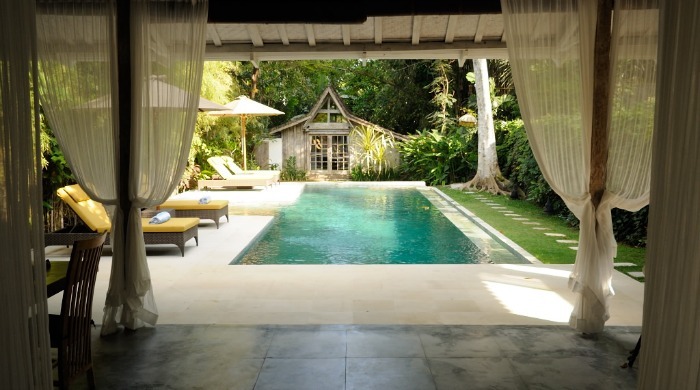 Adagian, a nice family villa just north of Seminyak, close the action, yet very quiet. 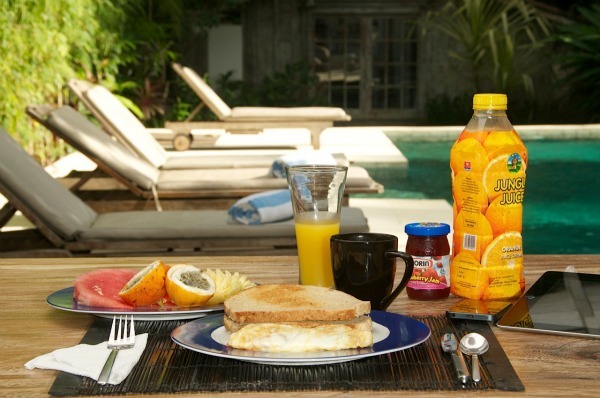 I share my Bali travel tips on the villas’s official website: RealBali.com. At Bulung Daya, reconnect with your loved ones and with yourself. 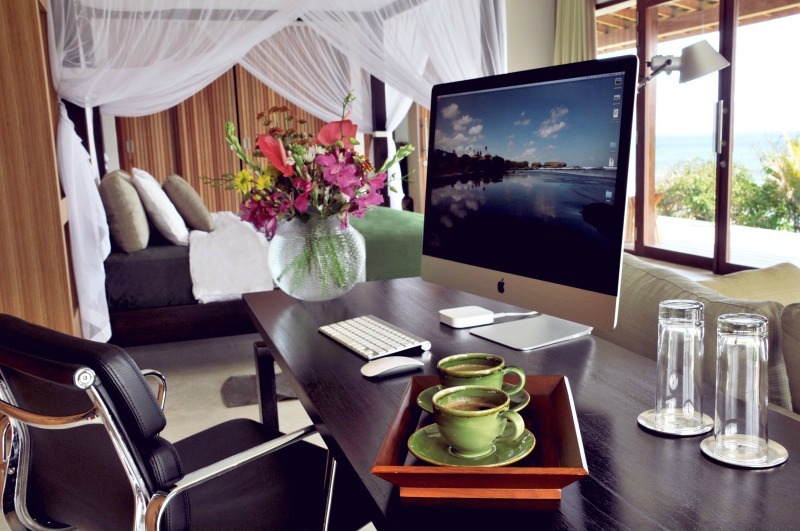 Want to stay at Bulung Daya? Click here for details, photos, and booking info. Do you want to explore Bali, while reconnecting with your close ones? 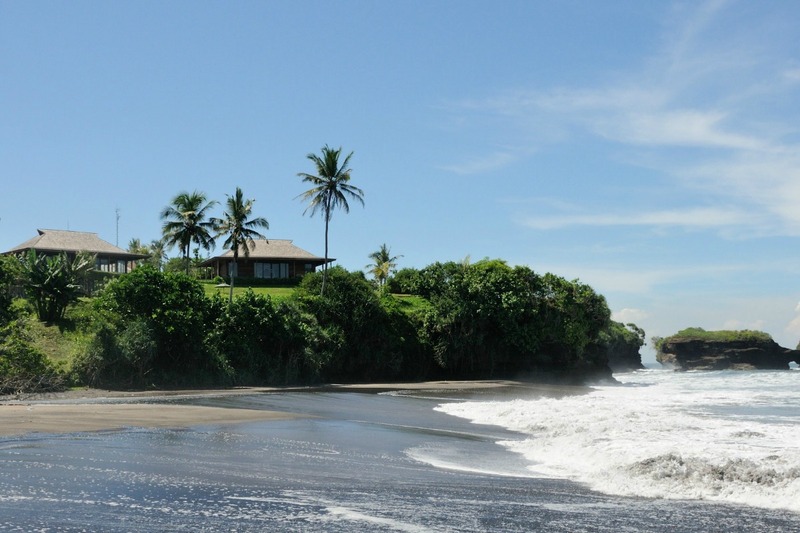 Villa Adagian offers a relaxing, private experience for up to 6 guests. It is located in the peaceful area of Umalas, 15 minutes away from the trendy attractions of Seminyak, yet far from the crowds. 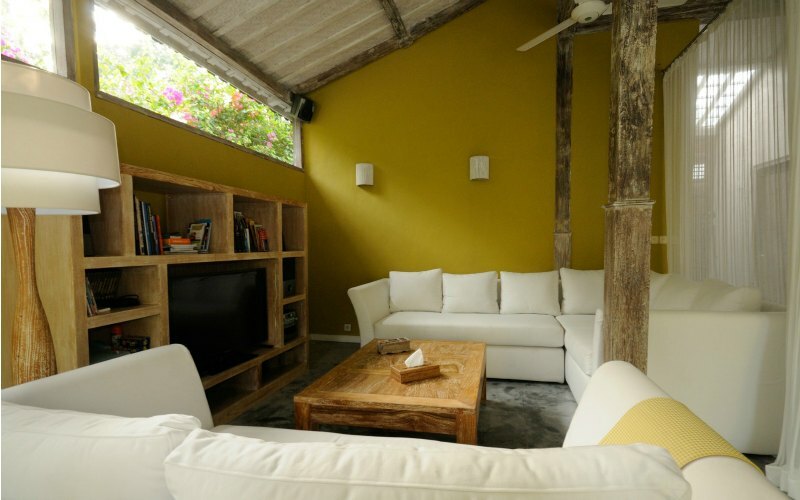 Villa Adagian sleeps 6 people, in 3 bedrooms (+3 bathrooms). 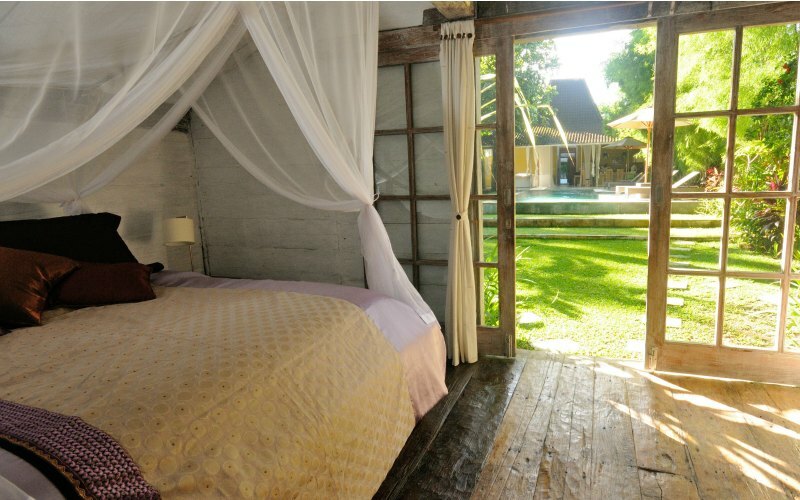 The villa is made up of 2 Indonesian wooden houses : 1 big Joglo (2 bedroooms, 2 baths, kitchen and living room) and 1 small Gladak (1 bedroom + bath). 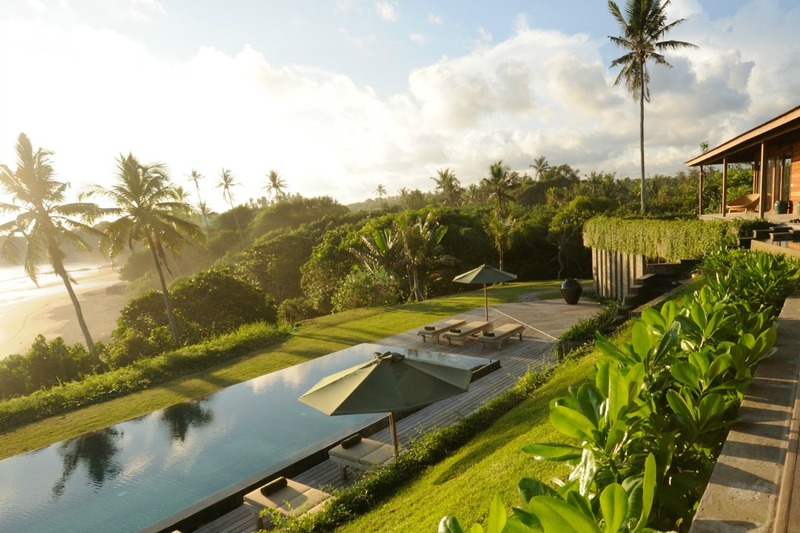 Between the 2 houses, a 12-metre long pool reflects the surrounding bamboo trees with its jade green waters. A word of caution: I will NEVER ask you to wire your rental money either to a London, nor to a Nigerian bank account. Beware of scammers that steal property photos and impersonate owners! 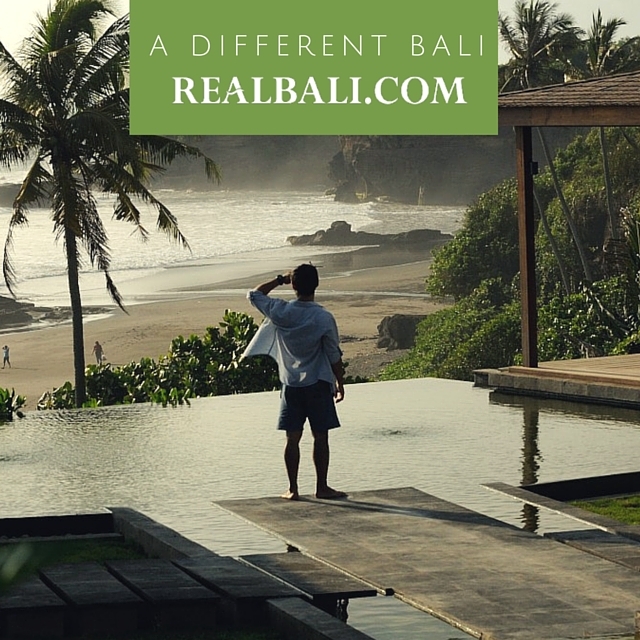 If you are looking for travel tips before your next visit to Bali, Indonesia, then go to http://www.realbali.com/the-real-bali-experience/. Every month, I give you new ideas and fresh reports on the best things to do on the island. You can also find out what’s going on in Bali by looking at my Bali Instagram account and my Bali Twitter account.